1 Laboratory Water Purification Systems. 2 Vertical and Horizontal Autoclaves. 3 Laboratory Glass washer & Dis-infector. 4 Pharma parts and components washers. 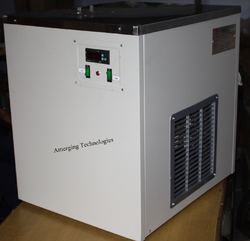 5 Chiller & Electrical steam generator. We offer an exquisite range of Peristaltic Pump. We make pumps at various flow rates from 0.1ml/min to 50l/hr. 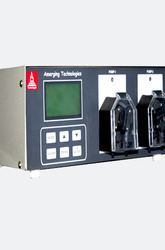 with graphical display for monitoring and RS-485 communication interface. Multi-channel pumps are available for up to 8 channels (Maximum) with consistent and accurate outputs in All the channels. Pumps available in multi-channel are 0.1~60, 0.1~200, 1.0~1000 & 1.5~85 ml/minute respectively. We provide Pharma Parts And Components Washers which is used as an industrial utility for washing and drying. Industries is engaged in offering fabrication services to our clients at reasonable prices. We provide Normal Chiller Circulator which is used as an industrial term, applies to the building of machines, structures, or process equipment for the pharma, textile and plastic machinery manufacturing sector, by cutting, shaping and assembling components made from raw materials.